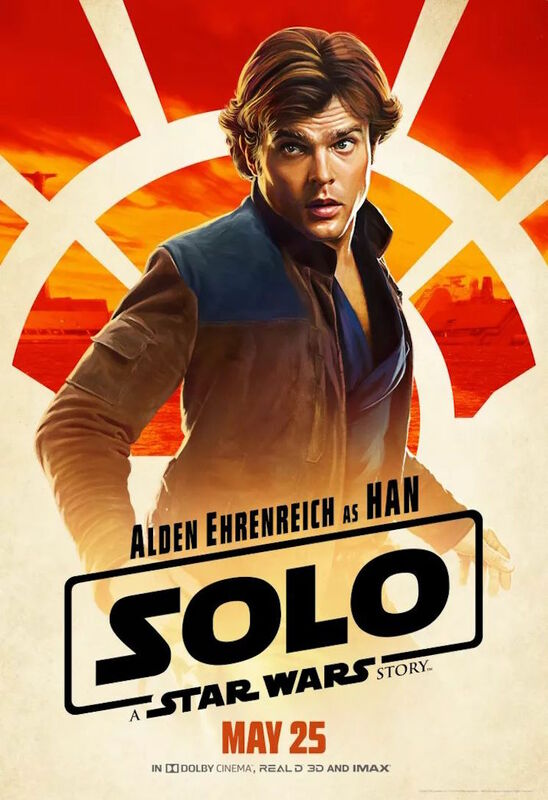 We're one month away from the impending Solo: A Star Wars Story, and assuming all goes well it likely won't be the last we see from Alden Ehrenreich in the role that previously belonged to Harrison Ford. After all, the newcomer recently let loose that he's signed on for multiple Star Wars outings. In a new interview with Esquire, Ehrenreich let slip the news that he's not done with the Han Solo role. When he was asked how many films he's signed up for, Ehrenreich said three. He reportedly became concerned that he may have leaked some information too early. "Three.... I don't know if that's officially, uh, public. But — yeah," he said. Of course, in the off chance that Solo underperforms, it's possible that Disney and Lucasfilm would change their plans. The film was originally directed by Chris Lord and Phil Miller before Ron Howard swooped in to save the project from ongoing "creative differences" with the studio. We won't know how it turned out until Solo: A Star Wars Story hits theatres on May 25. Watch the trailer below.